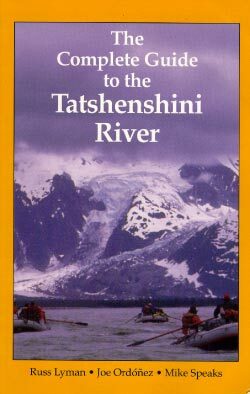 Authors Lyman, Speaks and Ordonez distill their combined experience of over 50 years, with over 120 trips down the Tatshenshini and Alsek Rivers, into this interesting and informative guide. 200 pages of trip logistics, geology and natural history, native and historical information, 21 maps and 45 photos and illustrations. Printed on recycled paper. 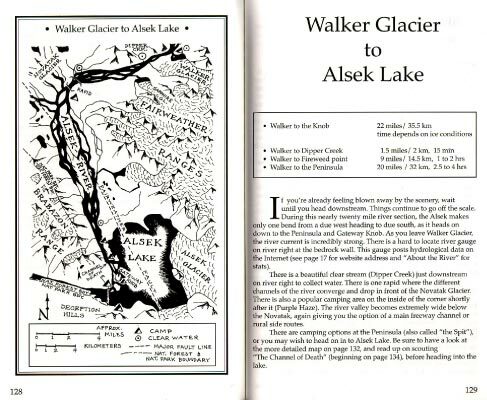 The river chapters begin with a sectional map, distances and times between main landmarks, and a brief overview of what's ahead. This is then followed by more detailed descriptions through the rest of the chapter. The natural history changes constantly as one floats downstream, so the book covers it as it unfolds, highlighting geology, mammal and plant life throughout each chapter. 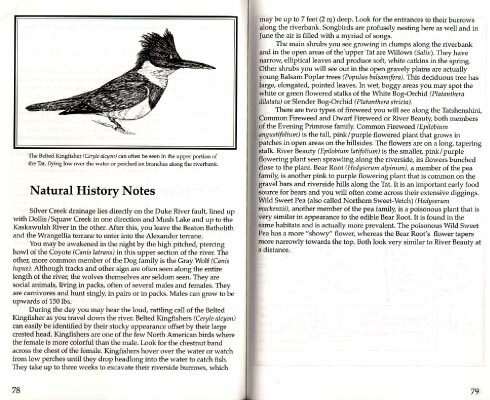 There are also natural history sections at the ends of the chapters, such as this one from "Dalton Post to Silver Creek".